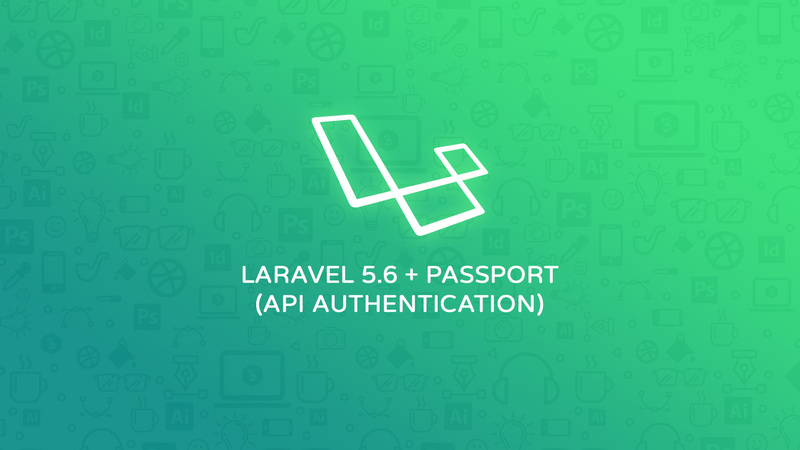 In this article, we will discuss the Laravel 5.6 API Authentication Passport. Laravel provides an easy way to perform authentication and API’s use tokens to authenticate the user. Because API’s not maintains any session between request. In Laravel, API authentication is too easy using Laravel Passport. It provides full OAuth2 server implementation for your Laravel application. Passport is built on top of the League OAuth2 server. I’m assuming you are familiar with the Laravel framework if not then you can start with given tutorials. Use given composer command to install Laravel Passport. After, successful execution of the above command. Update your config/app.php. The Passport package having its own database migration directory with the framework, so we need to migrate our database after registering the provider. After, executing the above command. If you receive an error “Syntax error or access violation: 1071 Specified key was too long; max key length is 767 bytes (SQL: alter table `users` add unique `users_email_unique`(`email`))” Then you can fix this using given solution. After, updating the AppServiceProvider.php. The migrate command executed without any issue. And create some of the tables related to the OAuth2 Server and some of Laravel default authentication. After, creating the encryption keys. It’s time to update our User Model. Add Laravel\Passport\HasApiTokens trait to App\User Model. This will provide some of the helper functions to your model. After an update, that allows us to inspect the authenticated user tokens. Next, we will update AuthServiceProvider.php located in app/Providers directory. Now time update our config/auth.php located in the config directory. Open the file and update the driver option of the API authentication guard to Passport. After, all the basic setup of Laravel Password. Now time to create API’s for Login, Register and User Details. Register route for Login, Register, and User Details. Use given command to create Auth Controller, Here we create functions to perform Login, Register, and Fetch User Details. Finally, now time to test our API’s. I’m going use Postman to test the API’s. A postman is a great tool for API testing. You can use another tool as per your compatibility and experience. Also, share the tools with us using the comment section. You can download a postman here. Login API needs user email and password. After successful authentication API returns a token which is used in further API calls. Or if authentication failed, then error thrown by the API. Register API needs a name, email, password, and c_password. c_password is used to verify the password. And also some of the default Laravel validations implemented such as required, email and confirmation password. After successful registration API returns a token and registered a username. Details API needs two headers Authorization and Accept. After the successful token authentication, API returns the user details. I encounter this error upon login. Do you know what causes the error? Did you fix the error? Thanks!!! It works for me!!!! had some trouble with other tutorials, but this one work. Please complete your tutorial, include the generating for passport:client –personal and other generating keys. Looking forward to the more awesome article you will post. Thank you! Hi Karthik, It’s a basic example. We will create this in the future article. Or if you can create this then share your code, we will happily add in our website as a guest post. before everything very well contribution. Access to XMLHttpRequest at ‘http: //api.grebo.test: 9000 / oauth / token’ from origin ‘http: //grebo.test: 90’ has been blocked by CORS policy: No ‘Access-Control-Allow-Origin ‘header is present on the requested resource. I will explain this issue in the future article.